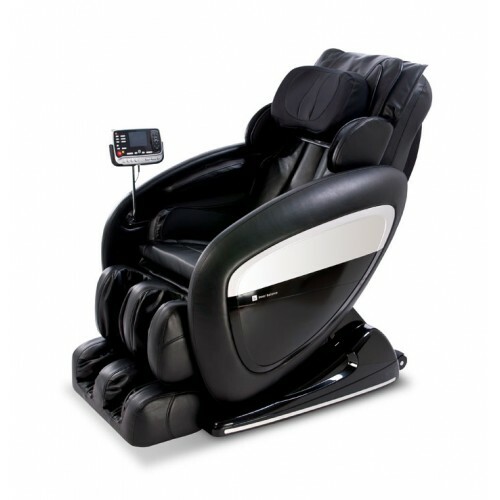 The Inner Balance mc660 zero gravity massage chair is designed to simulate the human hand by massaging key pressure points. You will enjoy a complete, comfortable massage all over your body, allowing quicker recovery and better down time. The Zero Gravity position provides the ultimate in seating comfort by gently stretching the spine to reduce back stress and tension as well as improving circulation. Your shoulder position is detected to provide a tailored massage experience so that you may fully enjoy a massage suited for your body shape and size. Four different massage techniques allow you to find just the right intensity to relieve tension, including Kneading, Tapping, Dual Action (Kneading-Tapping), and Shiatsu. Three pre-programmed massage functions (including Twist, Trim, and Tai Chi) as well as stretch and vibration. Massagers in the footrest work up and down your calves and feet, squeezing away tension. The footrest adjusts to accommodate users of different heights. Click the button below to add the Inner Balance MC660 Zero Gravity Massage Chair to your wish list.